I am going to admit something no Librarian in their right mind should admit. I have found myself in a time where my chances for reading are coming fewer and farer apart. Because of this infrequent reading-pattern I have not finished a book in months. Yikes…please don’t judge me too harshly. 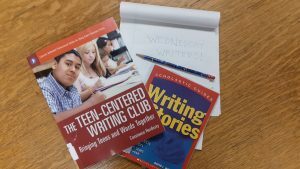 I have begun many books, but I just haven’t had the time or interest to continue the stories. Beyond my sporadic recent reading style, I have also found a few captivating distractions on Netflix. So, how about we blame the scarcity of titles I have finished on Netflix, sound good, great! My most recent find in the land of streaming T.V. 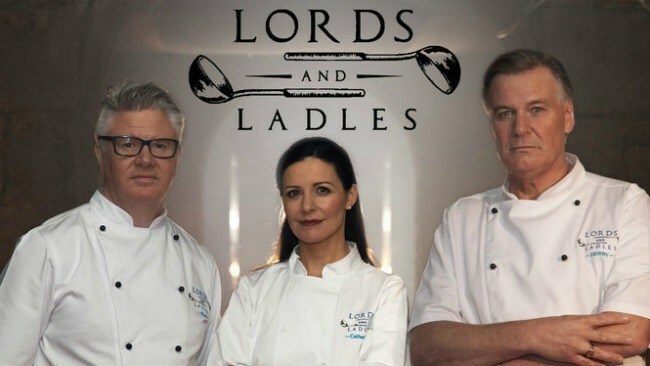 is Lords and Ladles. This little tidbit of goodness explores the great manors of Ireland through the lens of history and, most importantly, food. 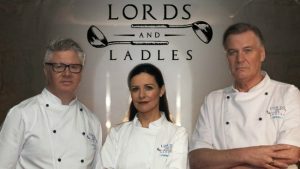 Three well-known Irish chefs are challenged to present fabulous and traditional meals to the aristocracy that currently reside within each estate. The real challenge is the “traditional” aspect of the recipes which turns into the unique challenge of the show. The chefs are presented with recipes that may be hundreds of years old that they are in turn challenged to recreate using the traditional ingredients. Menu items such as Rabbit with Pudding Stuffed Stomach and Hedgehogs are commonplace. Don’t worry, Hedgehogs are a mushroom, phew. This show is a great way to traverse the Irish countryside, all while learning about traditional foods and Irish history. And in honor of this gastronomic adventure I will take this time to recommend some truly unique and mouth-watering cookbooks. For those of you who are hoping to clean up your food act I would recommend “The whole30: The 30-day guide to total health and food freedom” by Melissa Hartwig. This not-so-new but wonderfully great cookbook offers a route to better sleep, more energy and healthy eating habits for life. Those offerings are all fine and dandy but frankly my favorite proposal is the step-by-step meal preparation plan that promises time and money savings as well as the assurance of simplicity. I can hang my hat on that! If the health food kick isn’t your bag, then maybe you should take a little adventure to the eternal city. Food blogger, writer, and Instagram star Elenora Galasso serves up a visually stunning and savory exploration of Roman culture and cuisine in her gem of a book, “As the Romans Do: La Dolce Vita in a Cookbook, classic and reinvented recipes from Rome”. Who wouldn’t want, “earthy breakfasts and vivacious al fresco meals.” Lastly, but definitely not leastly, I dug around in our collection and found a summer time prize, “The Complete Blueberry” by Elizabeth Barton. Published in 1974, this collection of all things blueberry is truly an appetizing treat. Barton offers unique recipes, buying recommendations and storage ideas sandwiched between the ever-compelling history of the almighty Blueberry. Hungry yet? I think a trip to the Library’s cookbook section is in order, don’t you think?